Forging aims to fabricate the work pieces of certain temperature different materials require different temperatures into other shapes through forging press with the help of punch press forging machine or other equipment for instances hot extrusion of watch case watch flan handle mold accessory kitchen and table ware art ware standard part fastener fabricated mechanical part bronze lock rivet steel pin and pin. 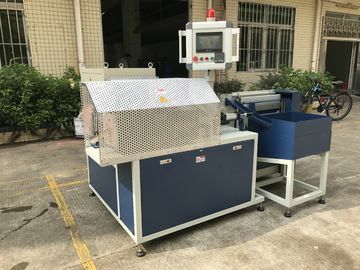 The equipment includes medium frequency induction heating machine, worktable, induction coil, feeding machine, Infrared temperature detector and some other parts. 1. Wide frequency range: 1KHZ—20KHZ, according the diameter of working piece to choose suitable frequency. 2. When heating a whole piece of material, the length of induction coil can be made from 500mm –1m, when heating multiple pieces, better penetrating results can be guaranteed. 3. 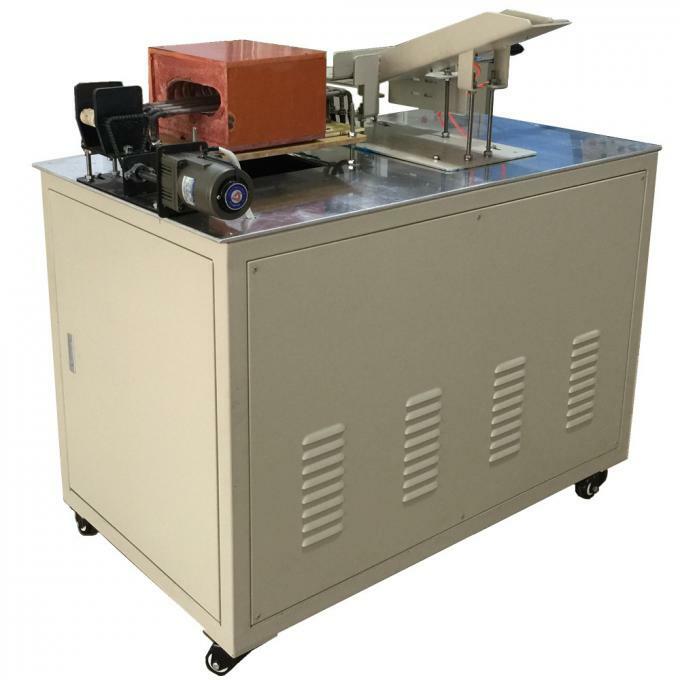 It adopts continuously heating method, with uniform load in induction coil, it can solve the problem of great voltage change in output power during heating process when the temperature of work piece reach 1100℃ from room temperature, by this way, actual output power can be always above 95% efficiency, thus the machine is effectively used. 4. When heating bronze, aluminum and other nonferrous metal, by suitable design of induction coil and capacitance, the actual output power of machine can be above 85% efficiency than calculated. 5. Compare with controllable silicon frequency machine, our equipment is of small size, easy maintenance, and can save power by approximately 15--20%.